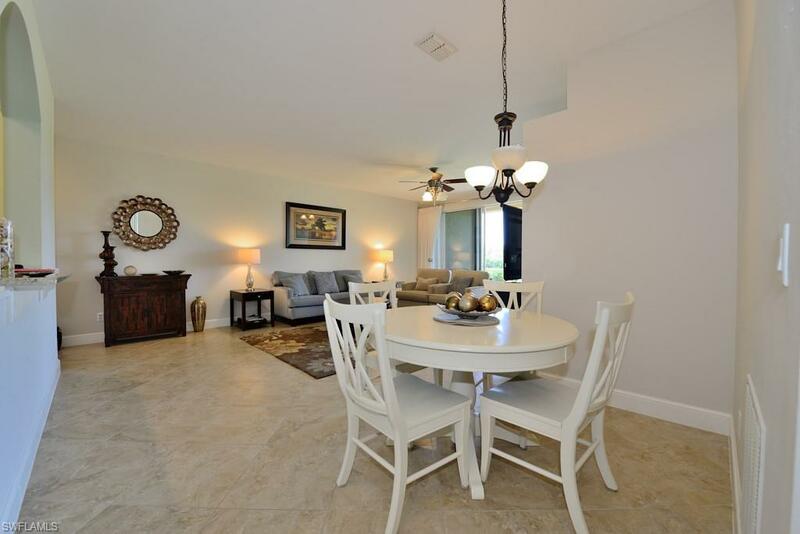 Golf Course View Vacation Rental! 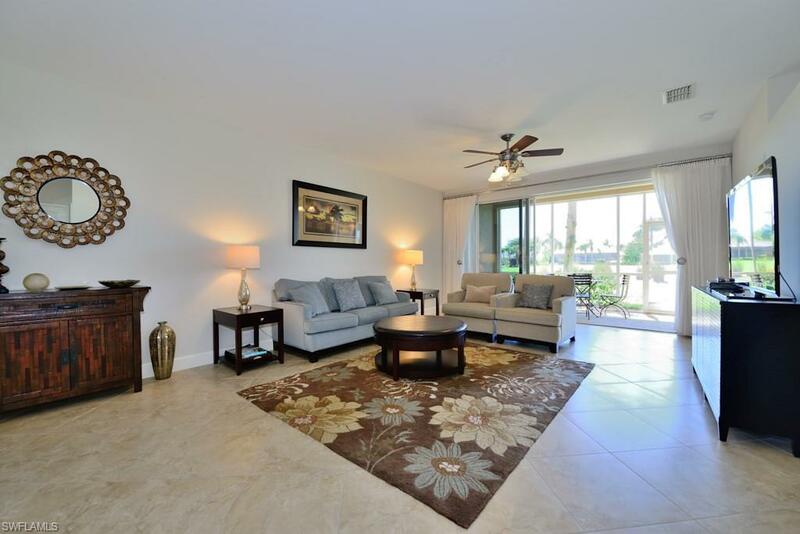 1st floor condo overlooking SW golf course views from your Lanai & Master Bedroom. King bed in Master, 2 twin beds in 2nd bedroom, SLEEPER sofas in both the Den as well as Family Room - can sleep up to 8 people. 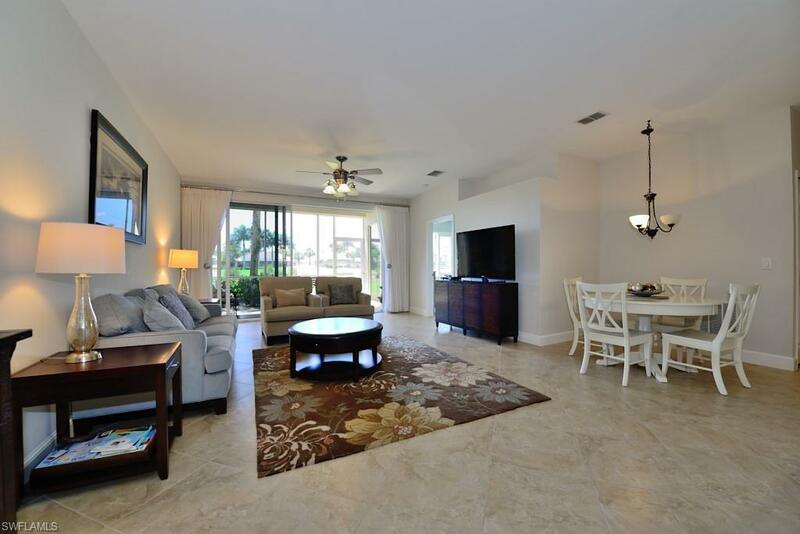 Nearly 1500 sqft under air, 1 car garage, west of I-75, close to the beach & all of the fine dining & shopping Naples has to offer. 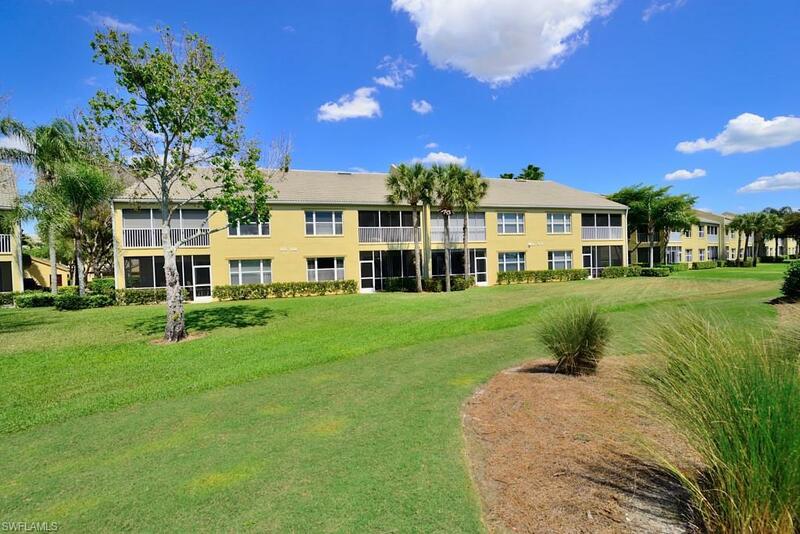 This condo was remodeled throughout, & now features custom wood cabinets, granite counters, new Whirlpool kitchen appliances, stackable Washer & Dryer, freshly painted w/ neutral soothing colors, new 20in tile floors laid on the diagonal throughout, upgraded baseboards, & all new furnishings & decor. New 32in. flatscreen TV's in the bedrooms & Den, & 55in. flatscreen TV in the Family room! Plantation shutters on all windows, & beautiful custom draperies for the Lanai sliders.Enhanced Social Club Membership is available w/ transfer fee. Golf membership is $1200/month per person or $1600 for the family.